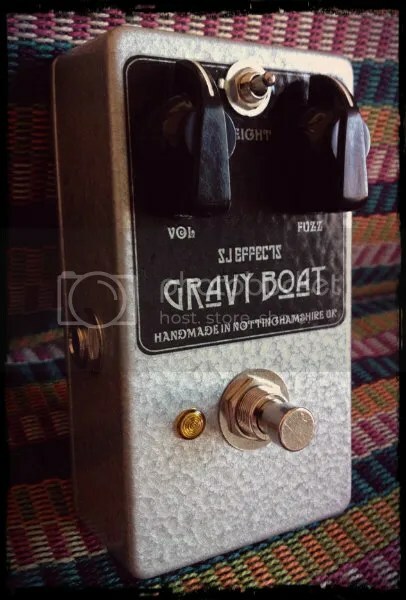 Exciting times here at SJ Effects; I have a new SJ Effects pedal to introduce to you all… The Gravy Boat Fuzz! 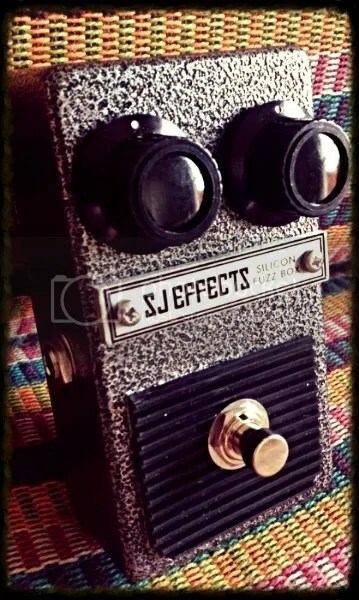 This is one of my Standard line pedals, and can be ordered from the ‘pedals for sale‘ section on the site. 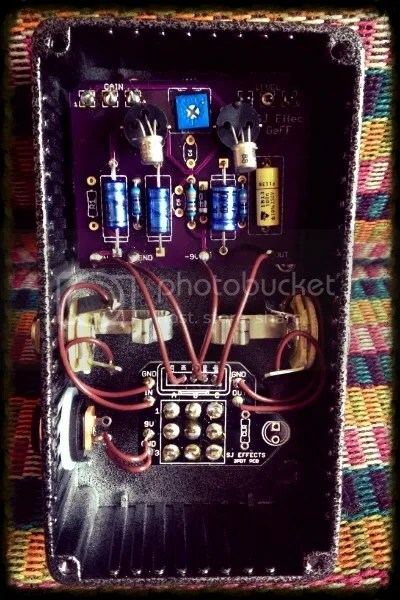 Its a heavy Silicon Fuzz based on the classic Coloround Fuzz Box (commonly referred to as the ‘One Knob Fuzz’). The pedal features Volume and Fuzz controls, and also features a ‘Weight’ toggle switch which allows you to alter the lowend response of the pedal (of which there is plenty; this pedal works really well as a bass fuzz). The pedals origins go back to the classic Fuzz Face, still a favourite amongst us fuzz junkies after all these years, and with good reason! The price is £80.00 + Shipping.